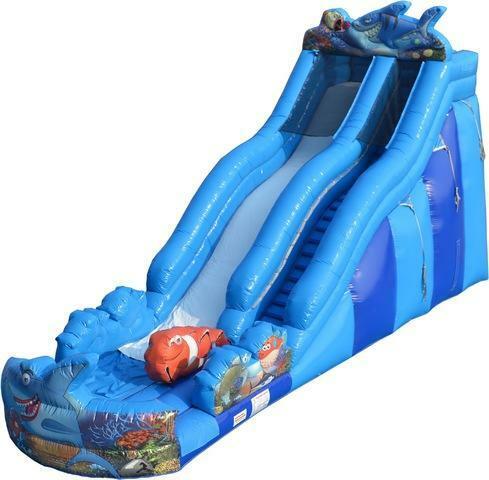 Enjoy the comfort of a friendly shark slide that's 22' tall. Suitable for all ages because this slide was design especially for the kids! It's has plenty of safety features including a nonslip material on the ladder, inflated landing pit, and easy grip rope to guide as you walk up the ladder.